This week’s prize: Universal Yarns Cotton Supreme Sequins and Sequins Shapes! A beautiful yarn to work with and a fun yarn to wear – Cotton Supreme Sequins and Sequins Shapes have sparkling sequins to brighten up any project! Made of 97% Cotton, 3% Polyester. 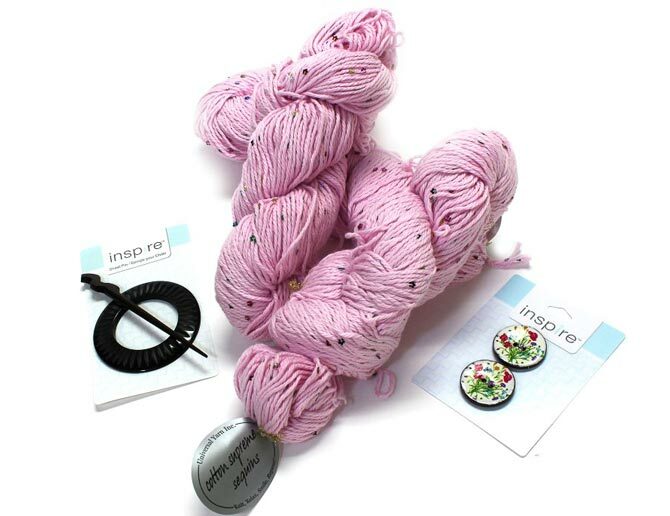 Try adding a beautifully crafted button or shawl pins from the knitting inspired collection of Inspire Accessories. Contest ends at 5PM on March 20th. Get your entries in NOW! 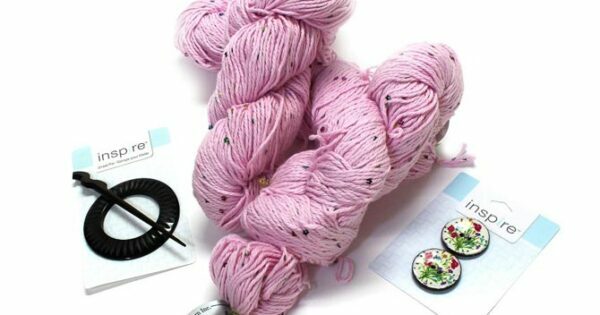 Congratulations to craftyone, winner of KNITmuch Giveaway 041: 2 skeins of Bamboo Bloom, a set of 5.5mm single point needles and a bottle of Soak laundry care! So nice to hear it! Thanks Sally. Thanks for this wonderful contest. I am a new reader and appreciate the chance to try this yarn out. Loving the color of the yarn and the accessories show will really make whatever project pop!